Last Thursday, KARL LAGERFELD & REVOLVE celebrated the launch of the «KARL LAGERFELD X KAIA» collection with an exclusive event hosted by Cindy Crawford’s supermodel daughter Kaia Gerber at the REVOLVE Social Club in Los Angeles with over 200 international influencers and special guests. The highlight of the night was a performance by Kaia’s best friend and singer Charlotte Lawrence and the opening of the «KARL LAGERFELD X KAIA» pop-up shop which is still open today from 12:00 to 6:00 p.m.at the REVOLVE Social Club. Kaia at the launch event dressed in pieces from the «KARL LAGERFELD X KAIA» collection. An embodiment of the Los Angeles-chic, style-savvy consumer, REVOLVE Clothing is the premier online multi-brand retailer of premium millennial fashion with a collection of more than 500 of the world’s most coveted established and emerging brands in women’s and men’s designer apparel, shoes and accessories. Guests included Kaia Gerber, singer Charlotte Lawrence, Presley Gerber, Larsen Thompson, Will Peltz, Larsa Pippen, Amanda Steele, Draya Michele, Jen Atkin, Brittany Sky, Madison Pettis, Raissa Gerona and Michael Mente. Fashion influencers included Desi Perkins, Lottie Tomlinson, Sophia Smith, Rachel Lindsay, Mary Lawless Lee, and more. 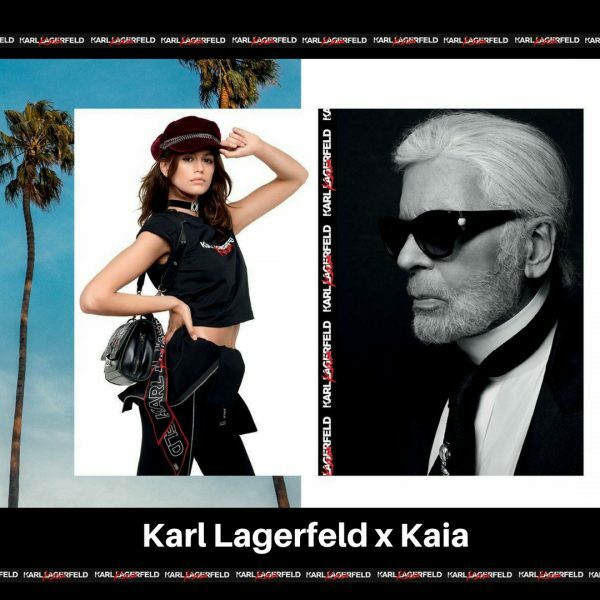 The «KARL LAGERFELD X KAIA» collection is exclusively available now at Karl.com und Revolve.com. Starting September 14, 2018, the limited-edition pieces will also hit the stores. Beautiful siblings: Kaia and Presley Gerber at the event.